The Beaulieu River is centrally located on the Solent, and is one of the most picturesque rivers in the south. 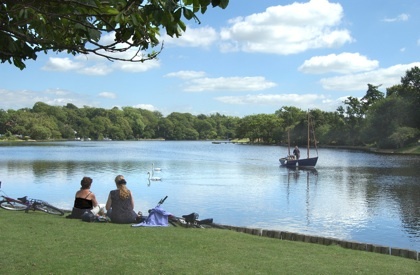 Forming part of the Beaulieu Estate, Beaulieu River is one of the few privately owned rivers in the world and is largely unspoilt, both in terms of its landscape and as a haven for wildlife. The banks play host to an exceptional variety of habitat with an equally varied display of flora and fauna. When approaching Beaulieu River from the East, keep the lit South Cardinal to starboard off Stone Point and steer to the vicinity of a lit, yellow special buoy close to the bearing to run in on. The bearing to run in on is 324° guided by the transit marks, the front mark is port post No. 2 and the back mark is the Eastern edge of Lepe House. 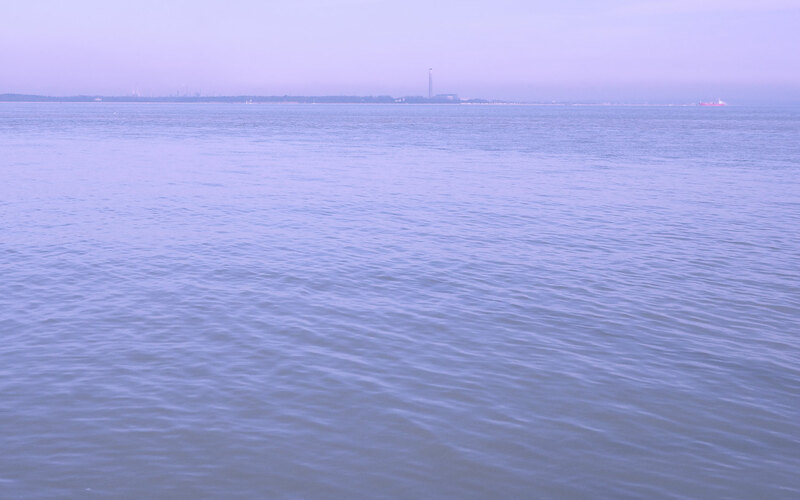 If entering in the dark there is a sector light to guide you into the entrance of the channel.To approach from the west, keep well off the mud banks of Warren Flat and Beaulieu Spit and again steer a course towards the special buoy and transit as above. The Beaulieu Spit dolphin marks the entrance, it is a large port hand tripod. Unless you have a very deep draft on neap tides you will generally be able to enter the river at almost any time, with the minimum depth being just over 2 metres*.It is recommended to avoid the entrance 2 hours either side of LW Springs to ensure that you have enough water to cross the bar which has a depth of 0.9m depth at Chart Datum.If your boat draws 1.5m, (5 feet), you can enter the river 1½ hours after LW Springs. The navigation channel at the mouth of the river is defined with red and green piles. Those that are lit have a flashing sequence of FL.G.4s.Once past the piles you will find there are port and starboard hand buoys to keep you in the channel. These are also lit and have the same light characteristic as the posts. These will guide you up to the marina.Further upstream, branches of willow painted red and green known as ‘withies’ are used. The river benefits from a double tide, with a secondary high water.The flood tide takes 6 hours coming in; then, after a gentle fall, there is a second high tide some 2 hours later followed by a period of slack water for about an hour. Then the ebb sets in, and LW is reached in just 3½ hours. Buckler’s Hard village and its marina are 3.5m upstream from the entrance to Beaulieu River. Set within the heart of the New Forest National Park, Buckler’s Hard Yacht Harbour offers a unique location for short stays and welcomes visiting vessels. The masters of vessels arriving inside the limits of the river are expected to report to the Harbour Master upon arrival, (ch68 Beaulieu River radio, or by phone 01590 616200). All commercial vessels and any vessel over 20m in length are required to contact Beaulieu River Radio on channel 68 when approaching the limits of the river. The harbour speed limit is 5 knots from the entrance and for the entire length of the river. Visitors are welcome to enter the marina at any time, day or night. Berths are available for visiting vessels up to 20m in length, (advanced booking is recommended for larger vessels) and some permanent berths are available. Berths for overnight visitors can be reserved in advance, subject to availability. Alternatively, you may be offered a berth on one of our mid-stream visitor pontoons or one of the visitors moorings marked with a yellow “V” plate mooring but a dinghy will be required to get ashore. Buckler’s Hard Yacht Harbour is an unspoilt haven, rich in history and wildlife, ideal as a base for exploring the Solent and the Channel. Situated on the beautiful Beaulieu River, the Yacht Harbour is only 25 minutes from the M27 motorway. Safe, traditional and friendly, with a 5 Gold Anchor award from TYHA, there are a range of berths available on the river and within the marina. Full marina services and facilities are available, including a 30 tonne hoist, open policy boat yard as well as a brand new shower and toilet block and a launderette. There is also a chandlery, stocking a wide variety of provisions, supplies, hardware, outboards and dinghies, as well as on site marine engineers. A unique location for short stay visitors, overnight berths and permanent moorings, experience tranquillity and stunning natural beauty on the Beaulieu River - where the New Forest meets the Solent. * Depths will vary slightly and are affected by atmospheric pressure. It is always recommended to carry out tidal calculations if you are unsure as to whether you will have enough water when entering the river.